The Smart Socket Air is the first intelligent plug boasting Air technology. The Smart Socket Air allows you to cut the power to your sockets. When you go to bed and use the “goodnight” button everything in your home turns off, saving you a great deal of energy! Integrate your TV and lighting with the Smart Socket Air and enjoy a seamless ‘movie mode’ at the touch of a button. Are your children not supposed to be watching TV? You can use the Smart Socket Air to control when the TV turns on and off. Use the Loxone app to verify the usage statistics at any time. In the morning rush, you forget to turn off your hair straightener. 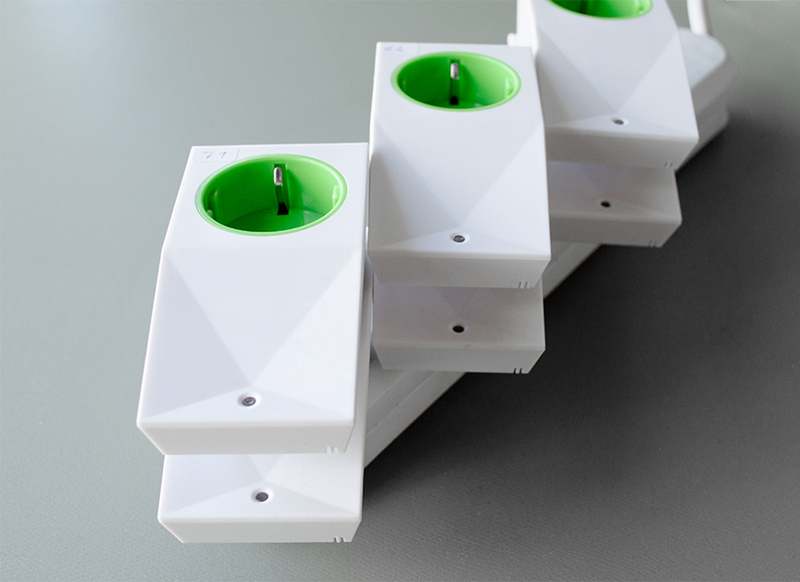 With the Smart Socket Air Loxone will automatically turn off power to prevent damage. What makes Loxone Air different? Loxone Air is a technology that we have developed in-house. As such it has been tailored to the exact needs of your Smart Home and addresses all your needs when it comes to retrofitting home automation. Get better coverage with Loxone Air. Mesh Technology gives supreme wireless range so every retrofit, whether large or small, is well looked after with Loxone Air. All Loxone Air devices can both send and receive signals and all communications are acknowledged. This ensures high reliability and also allows for great flexibility: Loxone Air to be used for all sorts of devices. All Loxone Air products have been designed to have the lowest possible power consumption. We have even gone as far as developing our own chipsets to try and minimise the overall consumption. High quality and reliability are of the utmost importance to us. This little smart plug went through a rigorous testing regime and came out with its head held high at the other end. Our test devices had to go through more than 20,000 switching operations as well as thousands of simulated power cuts. We’ve got it covered: our Smart Socket Air is available with 5 different plug types, so it is compatible wherever you are in the world.